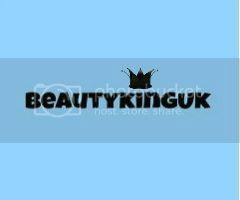 Welcome to the Monday montage here at BeautyKingUK - after a week of posting away I thought I would give a little round up. In the last week I’ve covered a number of topics, mainly writing about products that I’ve been using. This post is a little summary of my activity with links so that readers can track back to earlier ramblings for ease of reference. When I started this blog if you had told me I’d be writing up reviews nearly every day I’d probably try and have you sectioned under the Mental Health Act. I genuinely had no idea that I would take to it so quickly, have not a care in the world if people I work with see it and most of all enjoy the relaxation I get from spewing forth my opinions and the things that make me laugh in my head. The week started with a post on Mandara Spa - Tropical Blooms Softening Bath Milk, a lovely product that I really do love a lot. It actually didn’t get the attention it deserves when you consider the results I experienced using it. Always guaranteed to get me sleepy if I have a bath using this - it’s chill out pampering at its best. I then went with the top five aftershaves I couldn’t be without. Yes, any regular reader will know that I likes my aftershave and having to limit the choices to just five was a struggle. It really could have been a lengthy list. If you decide to try one from the list you should seriously consider Bvlgari Pour Homme as it has a little of everything for everyone. On Wednesday I spent the evening trying to write up my thoughts on Fish Sportfish Revitalising Hair, Face and Body Wash. I’m not sure why but I found it be a real struggle to write - whereas normally I can pour an opinion/article onto the page within about 30 minutes this one took hours. Thursday was a good writing day, I managed to finish my thoughts on Ted’s Grooming Room Step 02 Shave Gel and publish some random facts about myself as part of the Very Inspiring Blogger Award Nomination. A busy weekend was rounded off with me asking if £20 was a lot of money to spend on a cleansing gel. I thought it was, my Twitter followers and those using the #bbloggers hashtag disagreed. Yes, I felt tighter than a fishes bum! That didn’t deter me though and my final post of the week about Thalgo Gel Nettoyant Detoxifiant Visage went up yesterday. Taking up blogging has given me something to do, I really do like sharing my opinions. Every time I get new followers there is a sense of achievement. This may seem a little weird but knowing that people are reading my ramblings is actually touching. I put out on Twitter earlier today the question, what should I write about next - Lush wins and I’ll be sharing my thoughts on a few of their products throughout the week. Last of all, thank you to all who read my blog - I really do appreciate it when you take the time to pour over my stuff and comment. What would my readers like to see on this blog in the future? Should I stick with aftershaves and beauty products or expand more into the weird and often dark life that is BeautyKingUK? Let me know.